Chicago Metal Fest-Mosh for Cancer, feat. 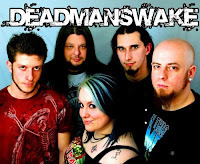 DEADMANSWAKE & others. Friday June 3rd, at Reggie's Music Club in Chicago! Don't miss another great night of Metal music for a good cause, supporting cancer research. Reggie's is located at 2105 S. State St. Heavy Metal 107's independent band of the year, DEADMANSWAKE will be performing along with Slaughter Xtroyes, Sins of a Nation, True Witness, Act of Destrustion, and Panzer! Lita Ford teamed up with Ozzy Osbourne in 1988 for what has become one of the greatest duet performances in hard-rock history. The song was 'Close My Eyes Forever'. It came about at a time when hair-metal was at the apex of its popularity, and rock radio was dominated by hard-rock ballads. Ozzy's solo career was back on track after he enlisted Zack Wylde on lead guitar, and Ozzy himself had been to rehab and got cleaned up for the first time since about 1970. Lita Ford, at the time, was also managed by Sharon Osbourne and was working on her third solo-album since the break-up of The Runaways, Lita. Whoever had the idea for this collaboration was a genius, because the market was primed for its success. 'Close My Eyes Forever' would become Lita Ford's best selling single, and Lita became her most successful album. Ozzy probably benefited from this duet just as much, since it showed a softer side of his potential as a vocalist and exposed him to a larger audience through its heavy air-play and successful music video. I'm sure this song played a role in setting up Ozzy for the success he would see with his next album, No More Tears, as well. Lita Ford would enjoy a little more success with her next release, Stiletto, but within 5 years the grunge-scene would become king, while pop-metal/hair-metal became uncool. But for 1989 'Close My Eyes Forever' was as big a hit as anyone could have wished for. It's a memorable and unique sounding ballad to this day. I've never heard another song quite like it since. Aside from being on the album Lita, it also appears on the 1992 collection The Best of Lita Ford. Heathendom are a power metal band from Greece. They incorporate elements from progressive metal, to traditional, classic metal, while keeping the riffs really heavy. When I first heard them I was instantly reminded of early Queensryche, thanks to the voice of vocalist Dimitris. Other bands I could compare them to range from Iron Maiden to King Diamond. Guitarists Lefteris Vourliotis and Michail Vlavianos are a fearsome combination of talent. There are quality lead guitars, acoustic guitars, keyboards, and plenty of heavy, distorted guitars in their mix. Not to be overlooked, there are elements of progressive metal prominent on several tracks. If you've enjoyed some of the more epic songs from the likes of Dream Theater, or late Iron Maiden, then you will be impressed with Heathendom songs like 'Mirror of Memories' or 'Haunted in Hell'. 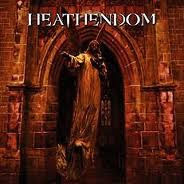 I highly recommend Heathendom to fans of classic heavy metal, as well progressive and power metal. 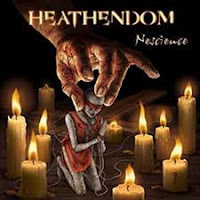 As I have alluded to previously, if you like the vocal style of singers like Bruce Dickinson, King Diamond, Rob Halford, or Geoff Tate, then you need to hear Heathendom! Recently, Metal On Metal Records has reissued their self-titled demo (originally released in 2005), and full-length debut album Nescience (originally 2008). Both are available through Metal On Metal's website: http://metalonmetalrecords.com/home.html. 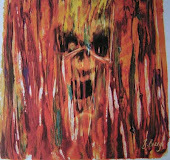 They are a European label, so it may be easier to shop online via CDBaby.com in the US. For Heathendom's music at CDBaby click here: http://www.cdbaby.com/Artist/Heathendom. DEADMANSWAKE opening for In This Moment, May 7th, Barrington, IL! Post #139 Hey there happy headbangers! Don't miss a great night of metal music, Saturday May 7th at Penny Road Pub in Barrington, IL. 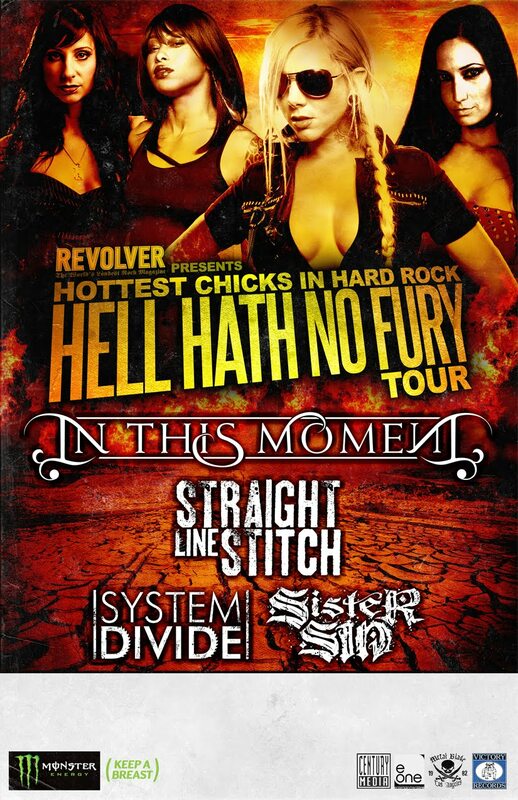 Part of the "Hell Hath No Fury" Tour, featuring '...the hottest chicks in hard rock'! Doors open at 5:30 pm. In This Moment are the headliners, but several other bands are performing, including DEADMANSWAKE, this year's myspace-band reader's poll-winner. Also performing at this show: Losing Scarlet, last year's winner of the same reader's poll. Two poll-winning bands from Heavy Metal 107 performing at the same venue! This could be an historic night of metal music. DON'T MISS IT!